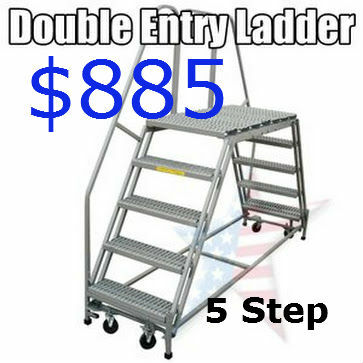 Double Entry Rolling Work Ladders allows full access to the maintenance job! 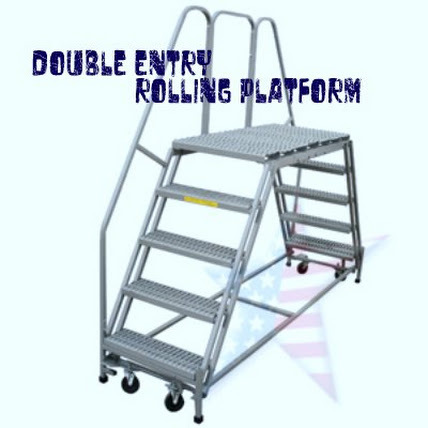 DOUBLE ENTRY ROLLING Ladders are really the work horse of Maintenance Platforms. 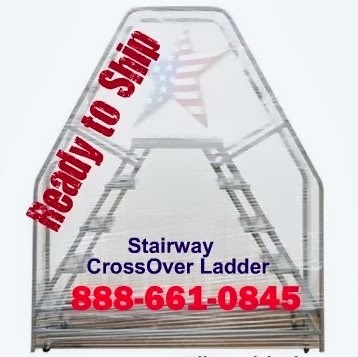 It is a Double Sided Rolling Ladder with two stairways and no handrail on one side. 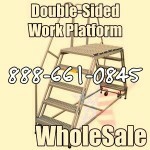 The single handrail allows FULL access to the work area. 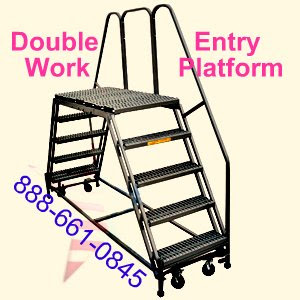 The Double Entry Rolling Work Platform has a lock safe caster locking system. 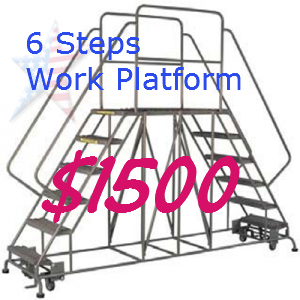 The locking casters turn this mobile platform into an unmovable maintenance platform where ever needed. 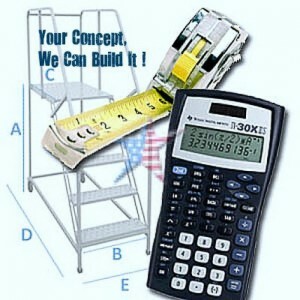 We build these Double Entry stands in many sizes, heights and we can also GALVANIZE this platform. Questions? Call a PRO! 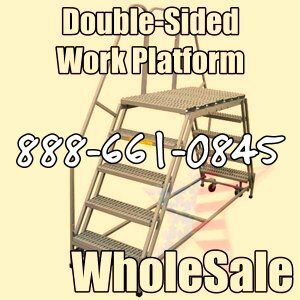 36" Wide Treads Large Width Working Platform! 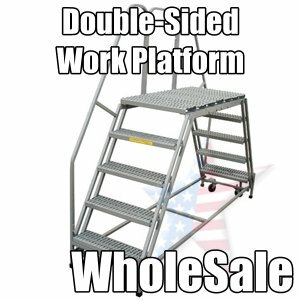 All of our Double Entry Platforms ship using the industry standards for ladders and work platforms. After a thorough Quality Check is performed on each product, they are either palatalized or crated. Shrink wrapping and padding adds an extra layer of protection. Always inspect your shipment upon delivery.